USA – Georgia’s Gwinnett Church has invested in four Jands Vista lighting & media consoles to provide powerful yet simple-to-use control for different zones in its recently opened house of worship site. 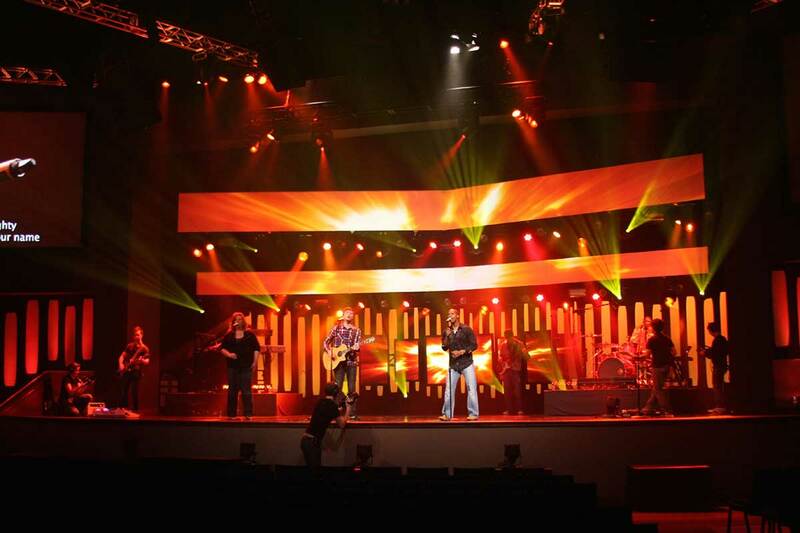 Gwinnett prides itself on inviting volunteers to assist in running the site operation, including technical production aspects such as lighting for its worship services. 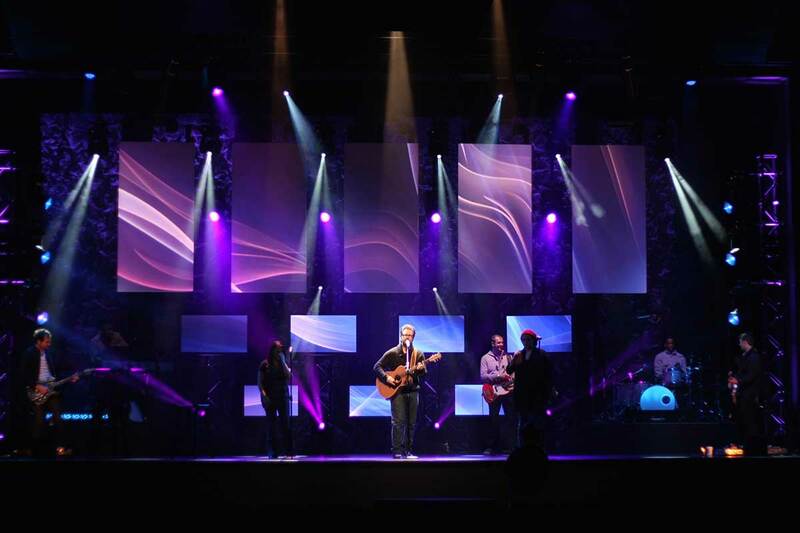 Lighting and Scenic Director at Gwinnett, Josh Mobley, oversaw the Church’s investment in Jands’ flagship Vista L5 all-in-one console, as well as three smaller size Vista control consoles – an S3 and two M1s. The powerful L5, which features a massive 21″ widescreen tablet for simple control of lighting and media on one screen, is installed in the Church’s main theater. The S3 is in the ‘middle school/high school’ room, and the M1s are in two smaller spaces. As well as being very popular with houses of worship on account of Vista’s volunteer-friendly operation, all models in the hardware range run the same Vista v2 software, making it effortless for users to program, transfer and operate shows across different models being used at the same site. In the Church’s main auditorium, the L5 is controlling a performance rig including Mac Vipers, Mac Auras, Colorado Tri Tours, and Epix strips. The Vista is also being used to control 100 Chroma-Q® Inspire™ color-changing LED house lights, which can be synced via DMX to the stage lighting for a seamless look and truly immersive worship experience which transcends the usual barrier between stage and audience. The powerful L5 utilizes an Intel Quad-Core i7-2600 (3.4GHz) processor and 8GB of dynamic random-access memory (DRAM). As well as its massive screen, the state-of-the-art desk also features a backlit keyboard, and Linux operating system. This combination is ideal for big shows where using lots of fixtures, LEDs and media servers can place significant demands on the console’s processor. The S3 is controlling a rig which includes Mac 350s, Chauvet Legend 412z fixtures and Colorado Tri Tours. The two M1s are controlling a smaller rig of LED pars and Chauvet Intimidators. 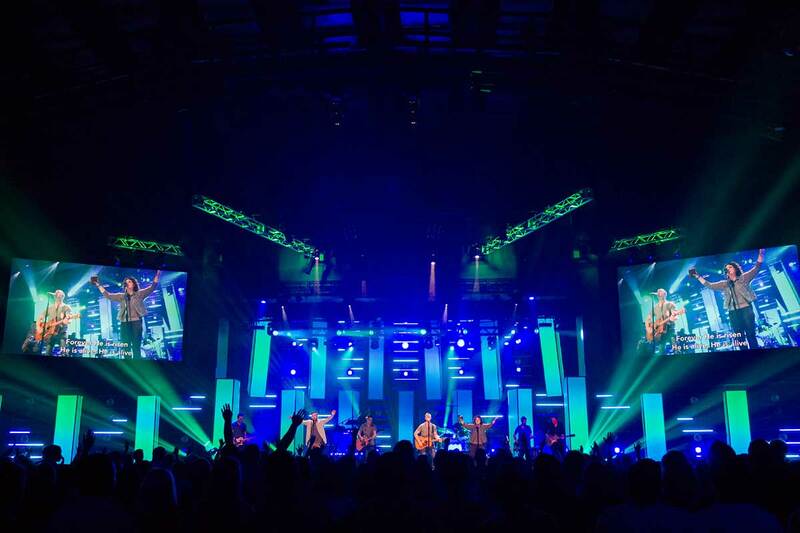 Part of North Point Ministries, Gwinnett Church is the latest campus to adopt the Jands Vista lighting and media control solution for their operation. The Vista consoles for each North Point campus were supplied by SVL Productions in Rockford, IL, and are distributed exclusively in North America by A.C. Lighting Inc. The Vista range includes a choice of portable, flexible control surfaces and self-contained consoles. Equally at home on tour or as a venue’s house console, Jands’ award-winning Vista lighting & media control system has been embraced by leading designers, companies and venues all over the world on a wide range of shows. Covering entertainment, education & drama, installations, corporate, events and worship, there’s a Vista system to suit all levels of user and almost any scale of show. 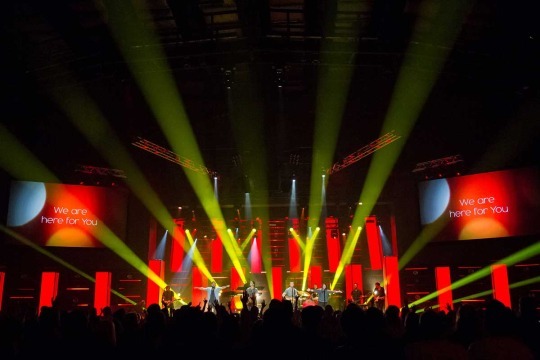 Other houses of worship to utilise lighting or media control by Vista include Elevation Church in North Carolina, Tomoka Christian Church and Celebration Church in Florida, Willow Creek Community Church in Chicago, White’s Chapel in Dallas, Lifechurch.tv in Oklahoma, Westover Church in North Carolina, and Grace Community Church in Indiana. International concert tours include Kylie Minogue, Queen + Adam Lambert, Chrissie Hynde, Bring Me The Horizon, Dierks Bentley and Thompson Square.